This is a group of Angels that can be placed in a reef tank, but there is a good chance of them picking on corals. 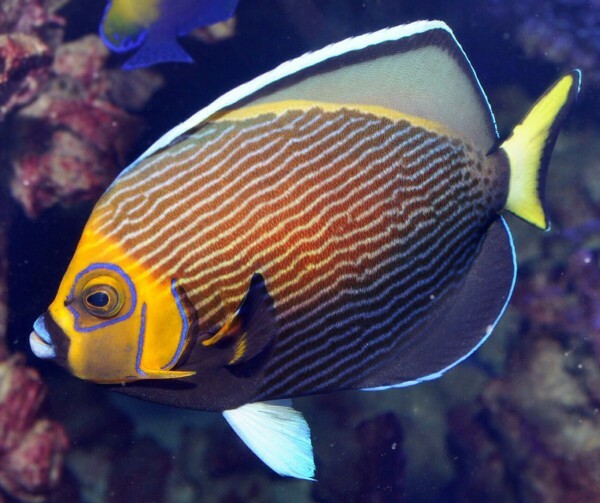 Because they get large in size, they need to be placed in larger reef tanks or large FOWLR tanks. They’re pretty hardy and usually live for quite some time. They should be fed mysis shrimp, flake, nori and formula food. This is a very expensive angel that does well in a reef tank, but because of its size needs a large tank (at least 6 feet) to do well. They usually eat very well and are also good in a Fowlr tank.